Ray Dalio is the billionaire founder/builder of Bridgewater Associates, an investment management firm. 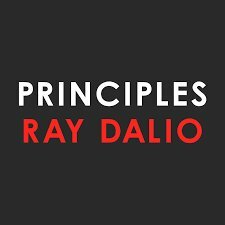 Principles* catalogs his policies, practices and lessons-learned for understanding reality and making decisions for achieving goals in that reality. The book appears to cover every possible aspect of managerial and organizational behavior. Our plan is to focus on two topics near and dear to us—decision making and culture—for ideas that could help strengthen nuclear safety culture (NSC). We will then briefly summarize some of Dalio’s other thoughts on management. Key concepts are shown in italics. We’ll begin with Dalio’s mental model of reality. Reality is a system of universal cause-effect relationships that repeat and evolve like a perpetual motion machine. The system dynamic is driven by evolution (“the single greatest force in the universe” (p. 142)) which is the process of adaptation. Because many situations repeat themselves, principles (policies or rules) advance the goal of making decisions in a systematic, repeatable way. Any decision situation has two major steps: learning (obtaining and synthesizing data about the current situation) and deciding what to do. Logic, reason and common sense are the primary decision making mechanisms, supported by applicable existing principles and tools, e.g., expected value calculations or evidence-based decision making tools. The lessons learned from each decision situation can be incorporated into existing or new principles. Practicing the principles develops good habits, i.e., automatic, reflexive behavior in the specified situations. Ultimately, the principles can be converted into algorithms that can be computerized and used to support the human decision makers. Believability weighting can be applied during the decision making process to obtain data or opinions about solutions. Believable people can be anyone in the organization but are limited to those “who 1) have repeatedly and successfully accomplished the thing in question, and 2) . . . can logically explain the cause-effect relationships behind their conclusions.” (p. 371) Believability weighting supplements and challenges responsible decision makers but does not overrule them. Decision makers can also make use of thoughtful disagreement where they seek out brilliant people who disagree with them to gain a deeper understanding of decision situations. The organization needs a process to get beyond disagreement. After all discussion, the responsible party exercises his/her decision making authority. Ultimately, those who disagree have to get on board (“get in sync”) and support the decision or leave the organization. The two biggest barriers to good decision making are ego and blind spots. Radical open-mindedness recognizes the search for what’s true and the best answer is more important than the need for any specific person, no matter their position in the organization, to be right. Organizations and the individuals who populate them should also be viewed as machines. Both are imperfect but capable of improving. The organization is a machine made up of culture and people that produces outcomes that provide feedback from which learning can occur. Mistakes are natural but it is unacceptable to not learn from them. Every problem is an opportunity to improve the machine. People are generally imperfect machines. People are more emotional than logical. They suffer from ego (subconscious drivers of thoughts) and blind spots (failure to see weaknesses in themselves). They have different character attributes. In short, people are all “wired” differently. A strong culture with clear principles is needed to get and keep everyone in sync with each other and in pursuit of the organization’s goals. Mutual adjustment takes place when people interact with culture. Because people are different and the potential to change their wiring is low** it is imperative to select new employees who will embrace the existing culture. If they can’t or won’t, or lack ability, they have to go. Even with its stringent hiring practices, about a third of Bridgewater’s new hires are gone by the end of eighteen months. Human relations are built on meaningful relationships, radical truth and tough love. Meaningful relationships means people give more consideration to others than themselves and exhibit genuine caring for each other. Radical truth means you are “transparent with your thoughts and open-mindedly accepting the feedback of others.” (p. 268) Tough love recognizes that criticism is essential for improvement towards excellence; everyone in the organization is free to criticize any other member, no matter their position in the hierarchy. People have an obligation to speak up if they disagree. “Great cultures bring problems and disagreements to the surface and solve them well . . .” (p. 299) The culture should support a five-step management approach: Have clear goals, don’t tolerate problems, diagnose problems when they occur, design plans to correct the problems, and do what’s necessary to implement the plans, even if the decisions are unpopular. The culture strives for excellence so it’s intolerant of folks who aren’t excellent and goal achievement is more important than pleasing others in the organization. A person is a machine operating within a machine. One must be one’s own machine designer and manager. In managing people and oneself, take advantage of strengths and compensate for weaknesses via guardrails and soliciting help from others. An example of a guardrail is assigning a team member whose strengths balance another member’s weaknesses. People must learn from their own bad decisions so self-reflection after making a mistake is essential. Managers must ascertain if mistakes are evidence of a weakness and whether compensatory action is required or, if the weakness is intolerable, termination. Because values, abilities and skills are the drivers of behavior management should have a full profile for each employee. Governance is the system of checks and balances in an organization. No one is above the system, including the founder-owner. In other words, senior managers like Dalio can be subject to the same criticism as any other employee. We recognize international investment management is way different from nuclear power management so some of Dalio’s principles can only be applied to the nuclear industry in a limited way, if at all. One obvious example of a lack of fit is the area of risk management. The investing environment is extremely competitive with players evolving rapidly and searching for any edge. Timely bets (investments) must be made under conditions where the risk of failure is many orders of magnitude greater than what acceptable in the nuclear industry. Other examples include the relentless, somewhat ruthless, pursuit of goals and a willingness to jettison people that is foreign to the utility world. But we shouldn’t throw the baby out with the bath. While Dalio’s approach may be too extreme for wholesale application in your environment it does provide a comparison (note we don’t say “standard”) for your organization’s performance. Does your decision making process measure up to Dalio’s in terms of robustness, transparency and the pursuit of truth? Does your culture really strive for excellence (and eliminate those who don’t share that vision) or is it an effort constrained by hierarchical, policy or political realities? This is a long book but it’s easy to read and key points are repeated often. Not all of it is novel; many of the principles are based on observations or techniques that have been around for awhile and should be familiar to you. For example, ideas about how human minds work are drawn, in part, from Daniel Kahneman; an integrated hierarchy of goals looks like Management by Objectives; and a culture that doesn’t automatically punish people for making mistakes or tolerable errors sounds like a “just culture” albeit with some mandatory individual learning attached. Bottom line: Give this book a quick look. It can’t hurt and might help you get a clearer picture of how your own organization actually operates. * R. Dalio, Principles (New York: Simon & Schuster, 2017). This book was recommended to us by a Safetymatters reader. Please contact us if you have any material you would like us to review. ** A person’s basic values and abilities are relatively fixed, although skills may be improved through training.